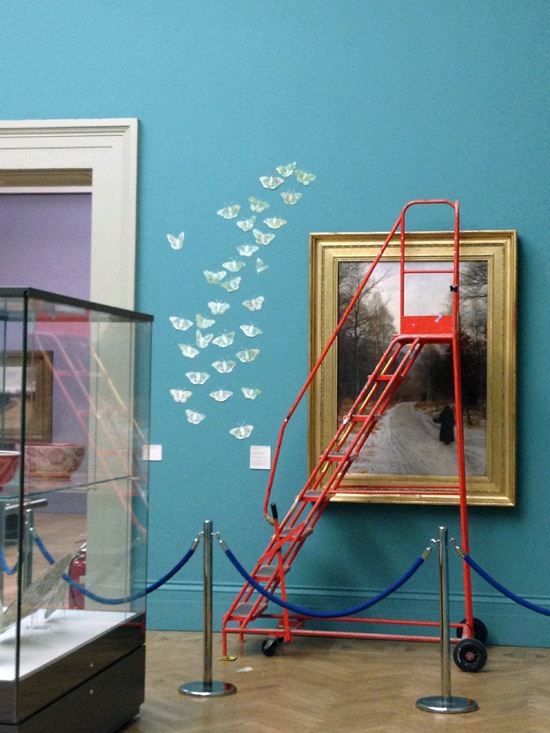 It was really great to be able to go and install my work in Manchester Art Gallery, for the First Cut exhibition. It's the first time that I have installed my work in a museum, so I was very excited and a bit nervous, if there was ever a time to raise my game it was now! I was still finishing one of my pieces the day before and was glad to see when I arrived that one of the other artists was still making his piece as well. 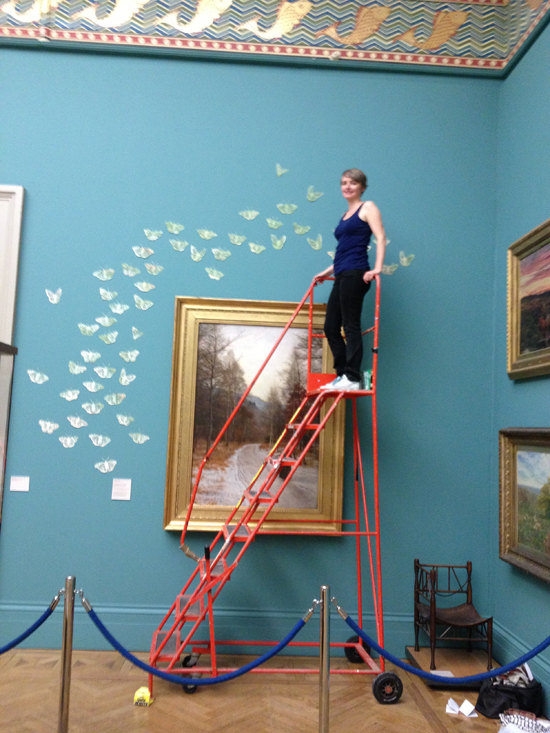 For the exhibition I was installing 2 pieces, An Apocalypse of Butterflies and the Harbingers. 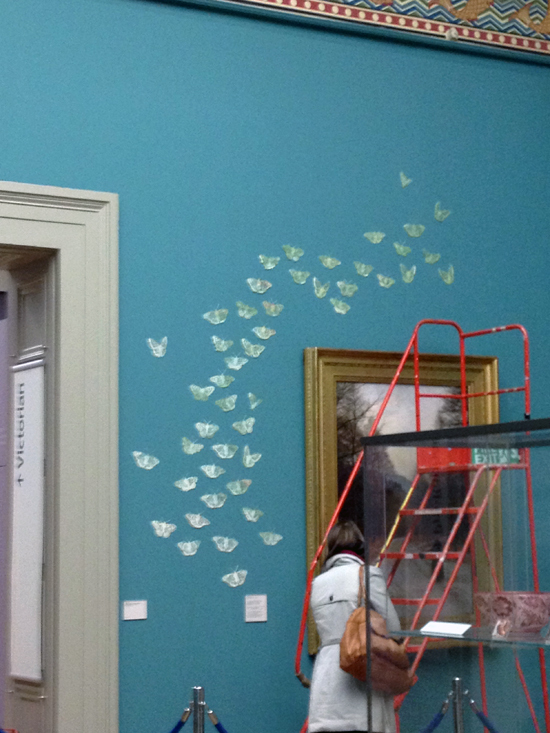 The butterflies were a site specific piece for the one of the Pre Raphaelite galleries. 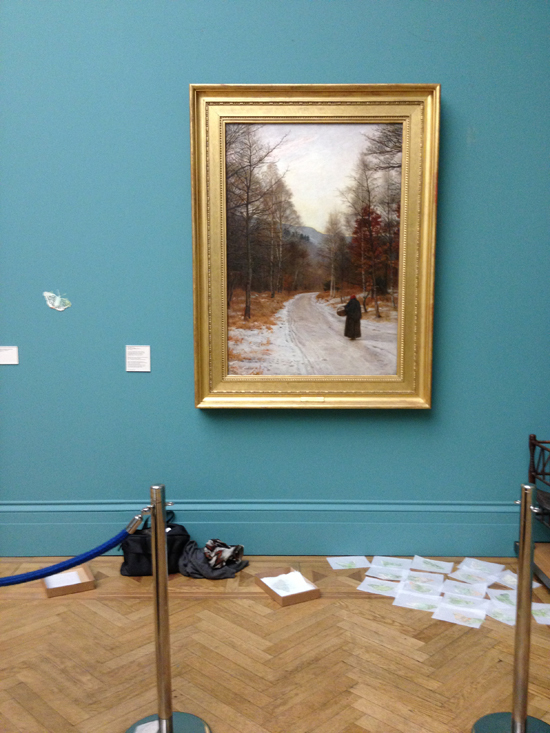 I was installing in front of a Millais painting, which was a little nerve wracking to say the least! And up a very high ladder! The installation took about 10 hours, and was quite intense especially as the gallery was open to the public whilst I was installing. It was really good fun though and the team at Manchester were really great and made everything so easy. One of the best things about the install was the other artists that were also installing, it was great to be able to chat with them and see their work taking shape as the installed it. 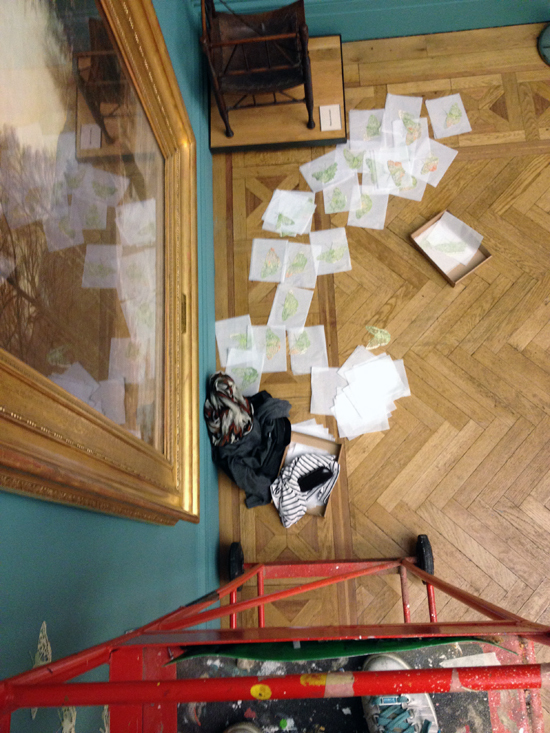 I will be posting about some of them in later posts but for now here are some images of the Apocalypse install. Oh my gosh, I would have been so scared too! The height! The million dollar painting below! Those delicate butterflies! Quite the hero you are ;). And all this looks stunning! Thanks Ellen, not sure about being a hero, but a steady hand was required! Thanks Sophie, good luck with your project.